On July 12, 1949, an AD-2 Skyraider, (Bu. No. 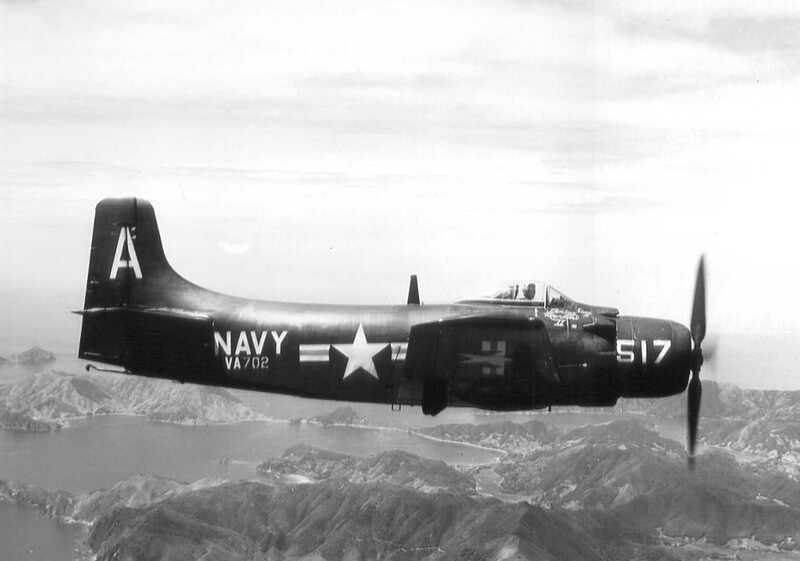 122320), was attempting to land on Runway 22 at the Charlestown Navy Auxiliary Air Field when the left wing suddenly dropped and struck the runway causing the aircraft to cartwheel. As it cartwheeled the momentum tore the engine loose from the aircraft. When the aircraft came to rest the pilot managed to extricate himself before the wreckage was consumed by flames. Remarkably, the pilot was reportedly not injured. On December 30, 1948, an AD-2 Skyraider, (Bu. No. 122309), was making a normal takeoff from the Charlestown Navy Auxiliary Air Field. Near the end of the runway, while the aircraft was at an altitude of about 150 feet, the engine suddenly stopped. The aircraft went down in the water of Ninigrit Pond which was covered by about an inch of ice. The aircraft struck the ice at about 80 knots, skipped once, and came back down in five feet of water. The pilot was rescued without injury but the aircraft was damaged beyond repair. The accident was blamed on faulty maintenance of the carburetor. 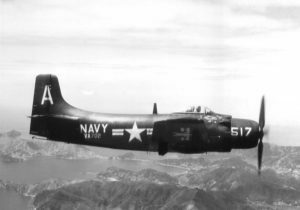 The aircraft was assigned to VA-94.